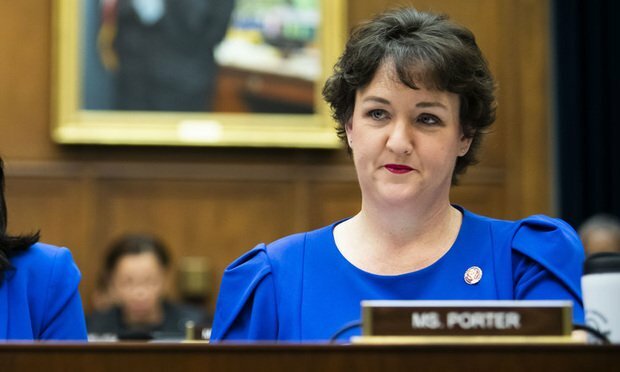 At a recent House Committee hearing, it was a moment of pure joy to watch a Democratic Party freshman Rep. Katie Porter take the clueless JP Morgan CEO Jamie Dimon to task on how his front-line workers would have to budget on an entry pay scale of $16.00 per hour. Now just translate these budgeting challenges with someone who earns closer to the current minimum wage scale of $7.20 per hour. 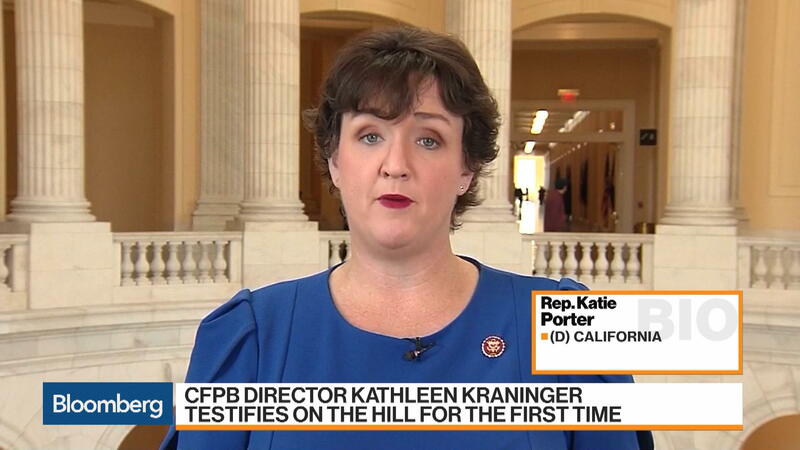 Katie Porter (Democrat) is the representative from California’s 45th Congressional District in the U.S. House. Porter was elected to the office on November 6, 2018. 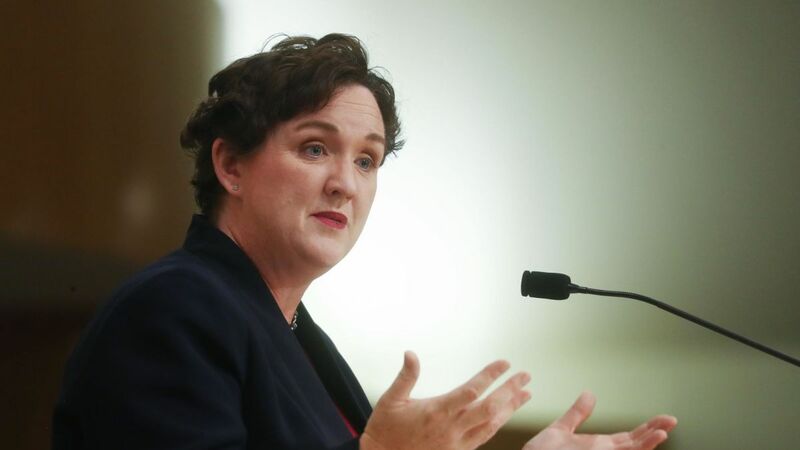 Porter defeated Republican Mimi Walters in the 2018 general election by a vote of 52.1 percent to 47.9 percent. Porter ran on progressive campaign themes including Medicare for all, affordable college, abortion access, and gun reform. To read about Porter’s stances on various issues, click here. After the 2008 Great Recession, the US government had to step in to regulate financial entities which were too big to fail . 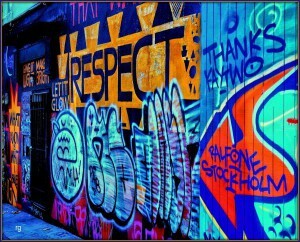 To avoid a repeat of all the devastation that occurred, the US Congress passed the 2010 Dodd-Frank Wall Street Reform Act to prevent banks from taking on too much risk. Some major factors that led to the 2008 financial meltdown were the banks’ reckless high risk lending practices. For example, Bank of America’s Countrywide Financial unit, caused Fannie Mae and Freddie Mac to lose market share and to respond by lowering their own standards. Then there were the mortgage guarantees. Many of the subprime (high risk) loans were bundled and sold, to the quasi-government agencies Fannie Mae and Freddie Mac. The implicit guarantee by the US federal government programs created a moral hazard and contributed to a glut of risky lending. The big banks making the high risk loans had no skin in the game. This was like a Ponzi scheme where it was only a matter of time when the accumulation and subsequent high default rates of these subprime mortgages led to the financial crisis and the consequent damage to the world economy. Can you believe that the banking community is pushing the president’s administration to roll back these regulations that were enacted to prevent a repeat of this 2008 financial debacle? This is one reason why US Congress via its House oversight committees are conducting hearings. Having Rep. Katie Power who is well versed in financial institutional ‘ practices, doing the questioning, is a sight to behold. “She is a starting employee, she has a 6-year-old child, this is her first job,” Porter said. “You can get those jobs out of high school, and she may have my job one day,” Dimon replied. “She may, but Mr. Dimon, she doesn’t have the ability right now to spend your $31 million,” Porter said, referring to Dimon’s 2018 pay package. “I’m wholly sympathetic,” Dimon replied. “She’s short $567, what would you suggest she do?” Porter pressed. “Would you recommend that she overdraft at your bank and be charged overdraft fees?” Porter asked. “Well, I appreciate your desire to be helpful, but what I’d like you to do is provide a way for families to make ends meet,” Porter said. After the hearing, Porter tweeted a picture of a white board showing her calculations behind the numbers she referenced during the hearing. During my questioning, @jpmorgan CEO Jamie Dimon said he didn’t know if all my numbers were accurate. Here’s the math so he can check. “Porter said Thursday that the bank teller she called “Patricia” during the hearing was actually a hypothetical person representing several stories of which her office had heard. Grand post on how hard it is for people today. Poverty is now institutionalized. According to the Bureau of Labor Statistics consumer price index, prices in 2019 are 94.49% higher than average prices throughout 1990. The dollar experienced an average inflation rate of 2.32% per year during this period. In other words, $40,000 in 1990 is equivalent in purchasing power to $77,797.09 in 2019, a difference of $37,797.09 over 29 years. Wages are not keeping pace. The minimum wage is not a living wage. Most of the people starting today have no way to get ahead. They can barely survive. They can not save nor spend for better educations to get a better job, and they have no time to get the education if they could afford it. The fact is people are buying less because they can not afford to buy more. A good economy is built on the selling of a product. If the population can not afford to buy anything , then the economy crashes. By putting more money in the hands of those who have less, who need more, then they will spend it as they need to and that stimulates the economy. In 1989 I bought a new home, a new truck, a used motorcycle and still had money for luxuries. Two years later I bought another new car and another motorcycle. There is no way a person starting out today could do that. Ron and I lived well for years on my one income. Today you need roommates just to afford a small apartment. This is not a sustainable situation. At the retirement end the situation is also dire. The people who had defined retirement plans are dying off. The people nearing retirement now for the most part have no retirement plans from their jobs and little to nothing saved. People my age needed everything they earned just to keep going. Social security doesn’t pay enough to live on at today’s prices. I know seniors who are making a choice between food, paying bills, or medications. I know of people rationing their medications because they can not afford to buy it. The rents and taxes these people pay are driving them from their homes forcing them to live with their adult children. The system is not working for the majority of americans. What is the poverty line income in the US? The Census Bureau uses a set of money income thresholds that vary by family size and composition to determine who is in poverty. The 2010 figure for a family of 4 with no children under 18 years of age is $22,541, while the figure for a family of 4 with 2 children under 18 is $22,162. Think about this. The minimum wage is 7 grand below the poverty line in my example above. People can not survive on this income today. Low income is $118,400 and very low income is $73,300. Yet the average income in the US is only $59,055. Since 1973 until 2018, the US corporate increase in productivity has been around 77% while the average Joe voter wages have been stagnate at about 12.4%. It used to be that after WWII until 1973, corporation executives shared the spoils of increased productivity, revenues, profits with their workers. So these Americans are being squeezed financially to where most are not in a financial position to send their children to at least a public state college. Then their young folks are saddled too frequently with a mortgage type student loan as they start their careers. Finally, when the average American retires, fewer and fewer have enough to retire on as corporate pensions have gone the way of the Dodo bird. They are reliant on 401ks which do not provide the security of pensions.One of the presidents first acts in 2017 was to roll back an Obama created “Fiduciary rule” where financial advisers are required to act in clients’ best interests with their retirement savings/ investments. A Towers Watson study found that from 1978 to the end of 2013, only 24% of Fortune 500 companies offered any type of defined benefit plan. In short, the non stock owners (about 50%) of Americans have been systemically shut out of the American dream and they have every right to be furious as neither the Democratic Party or the Republican Party lawmakers have done much to give these folks even a glimmer of hope. As per a Bloomberg 11/8/2014 report, Since 1978, college tuition and fees have increased by a whopping 1,120%. During that same period, the price of food has increased 244% and medical expenses 601%. In fact, tuition prices have gone up four times faster than the consumer price index. The Democrats have to do a better job educating the American peoples. It can be excruciatingly embarrassing to watch senior official display a lack of briefing going into an important meeting. You would think a CEO who makes…drum roll…only $31 million dollars a year could perform better when asked a simple question. He couldn’t bring himself to give the easy answer, “the solution to help that front-line worker would be to increase his wage rates like Bank of America has done. For $ 31 million a year I’d make it my business to make a study of anything I might be asked.